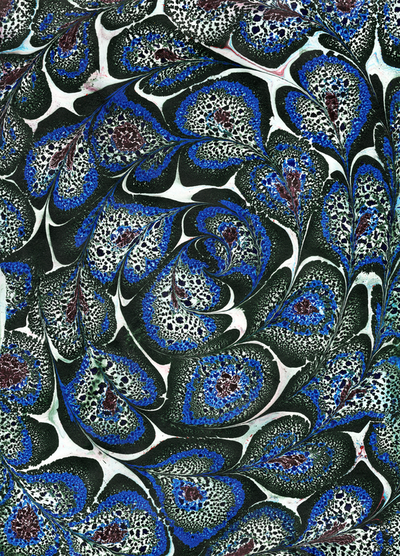 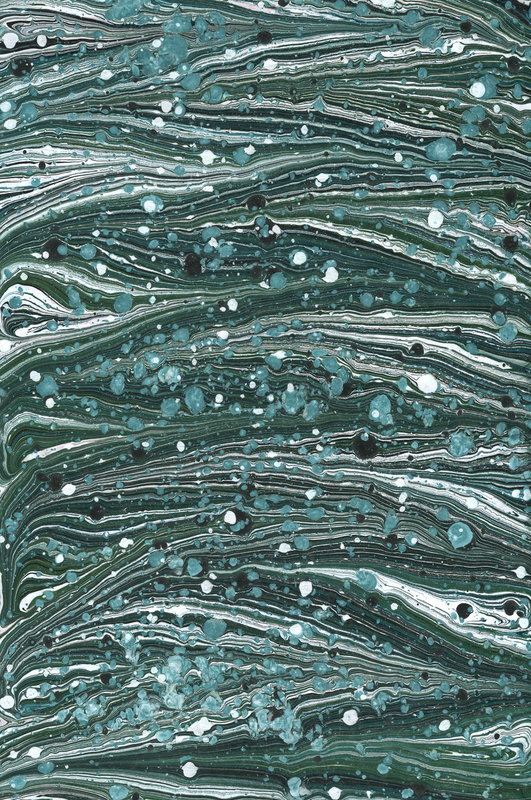 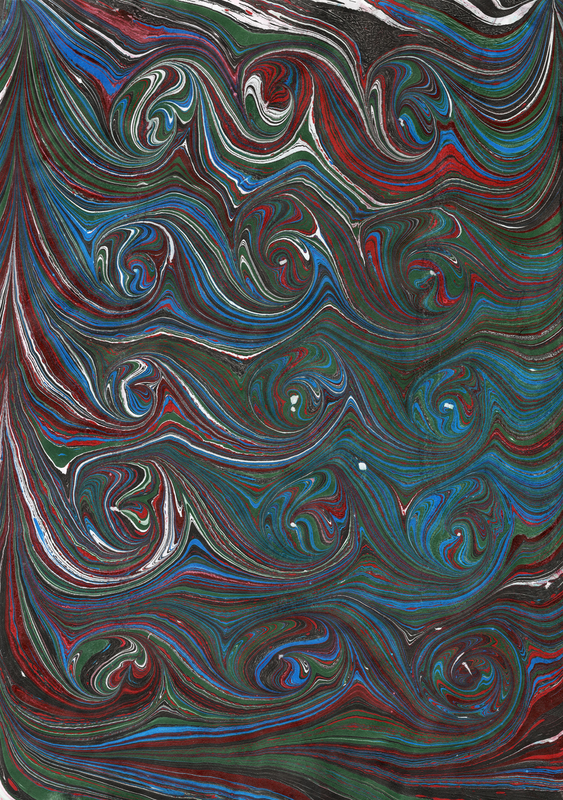 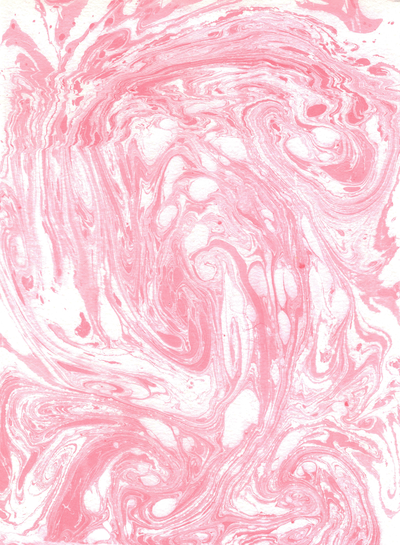 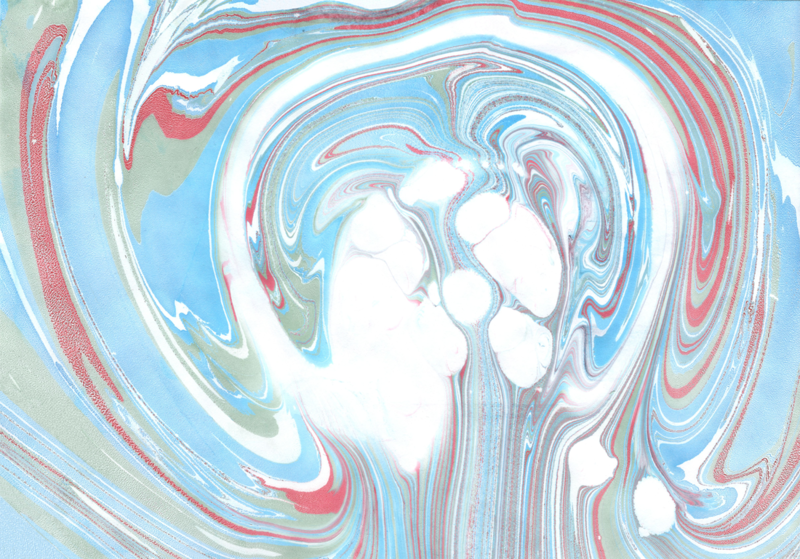 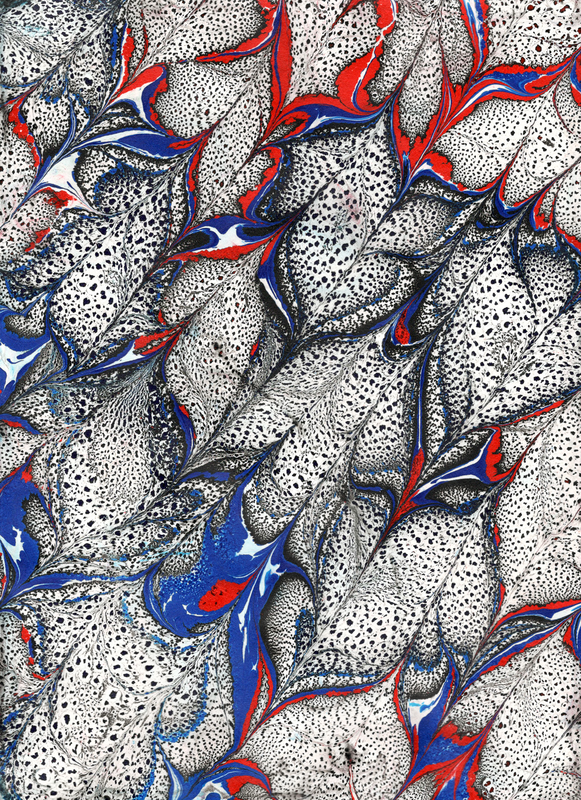 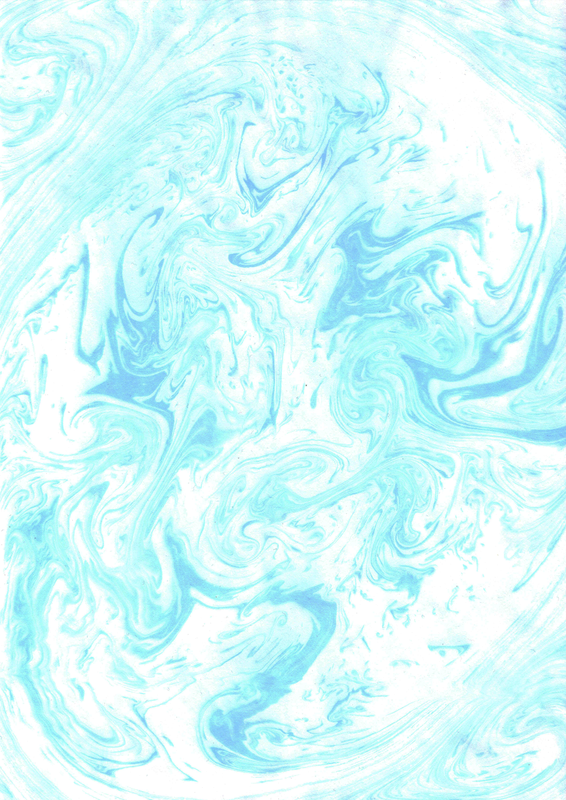 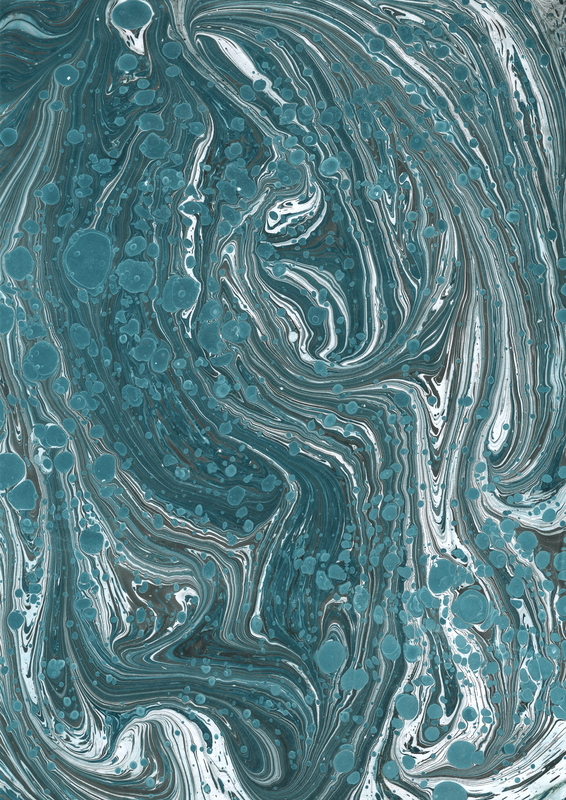 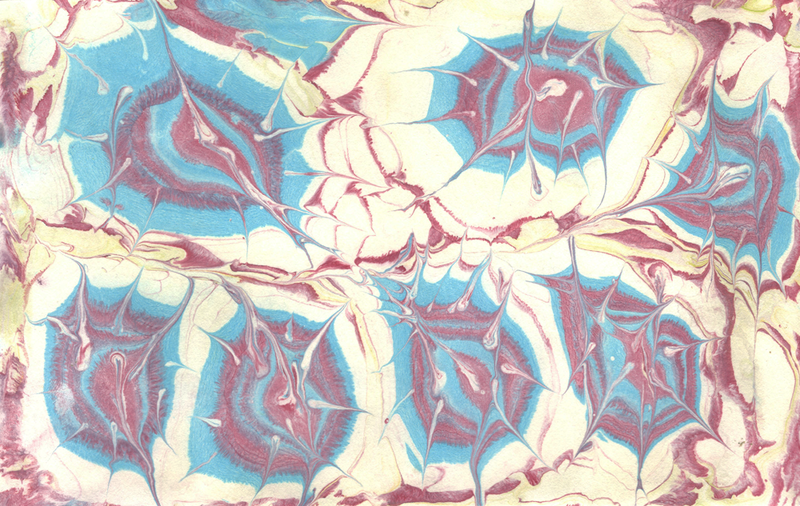 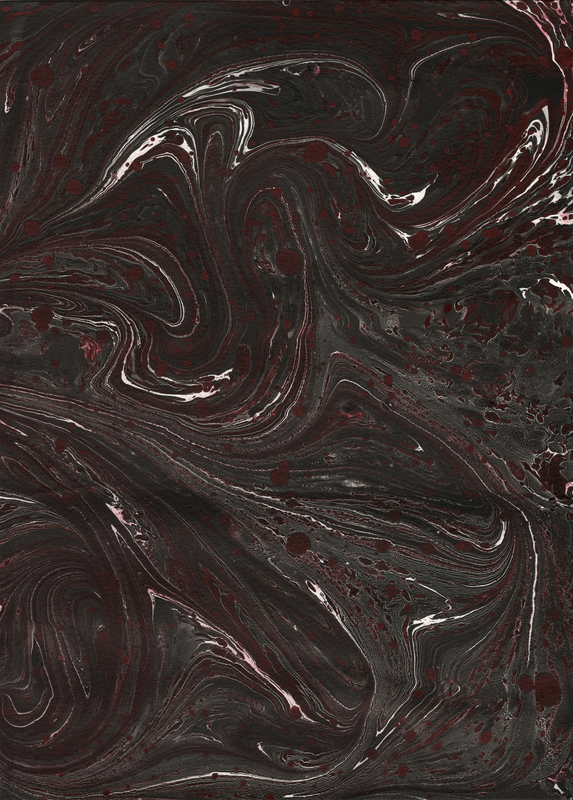 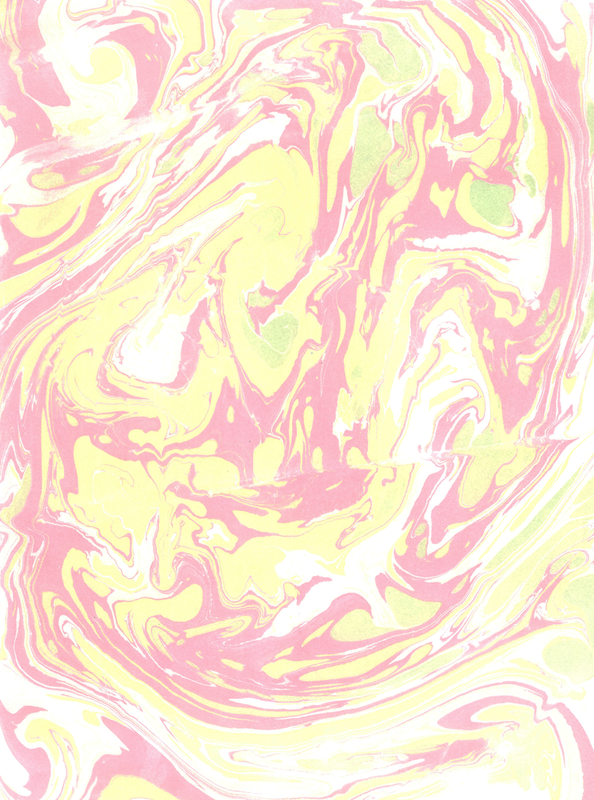 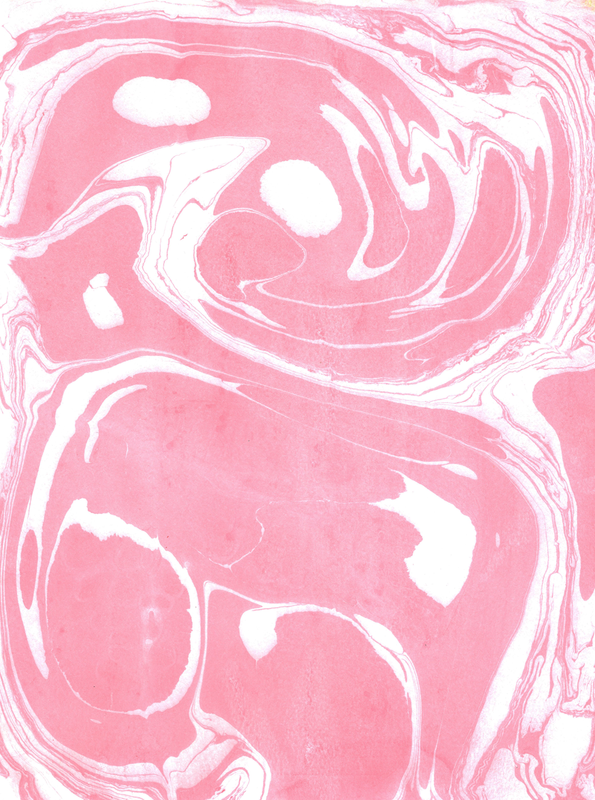 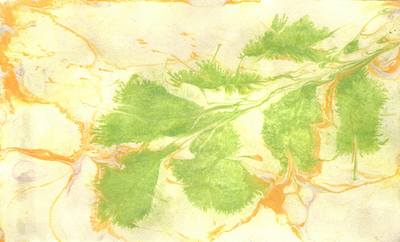 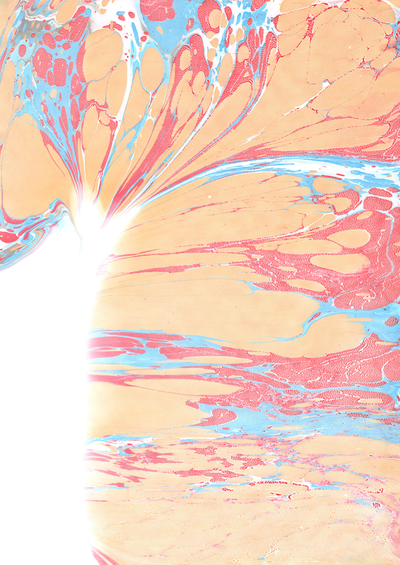 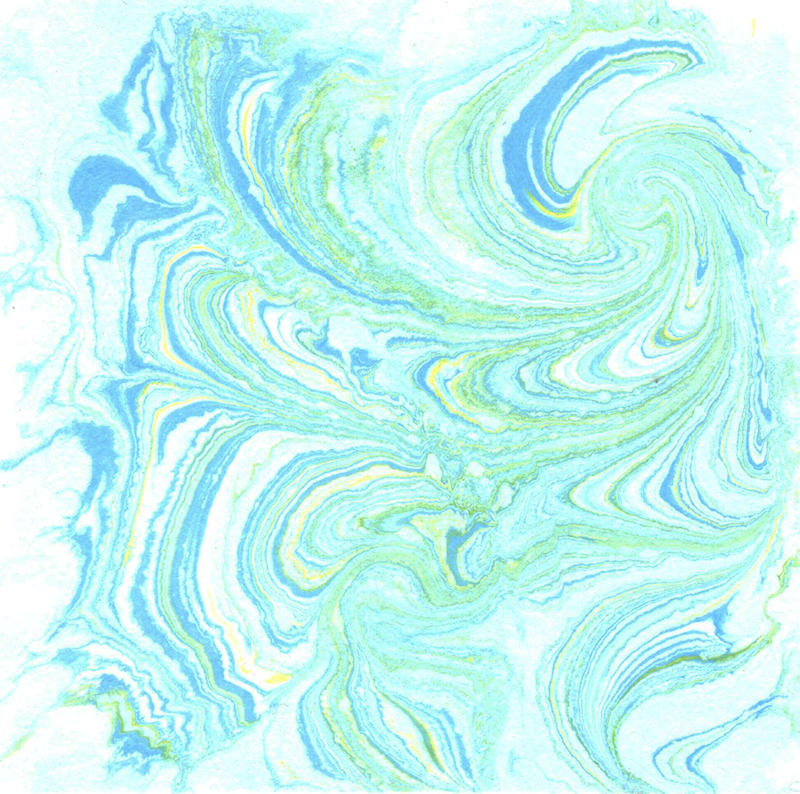 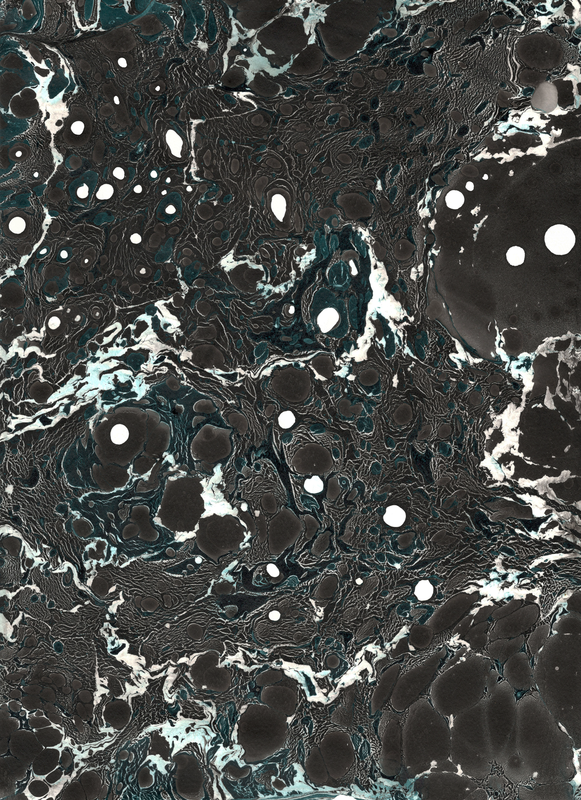 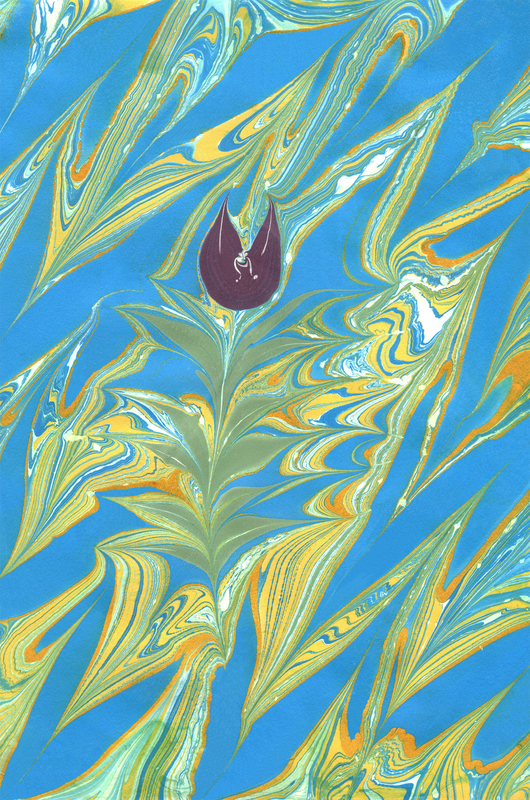 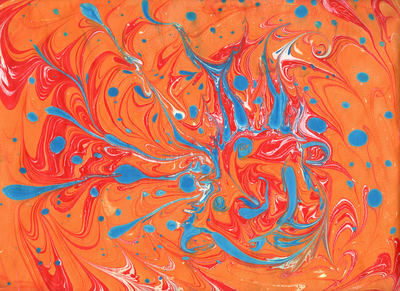 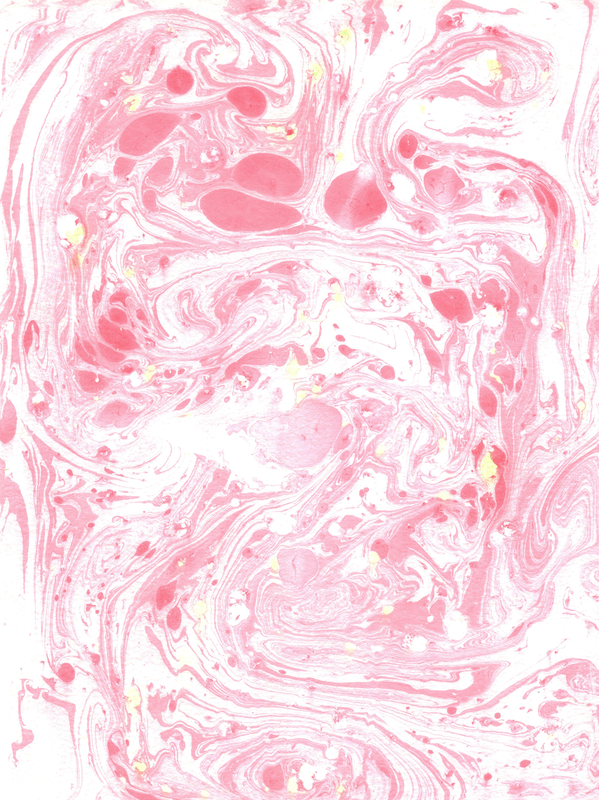 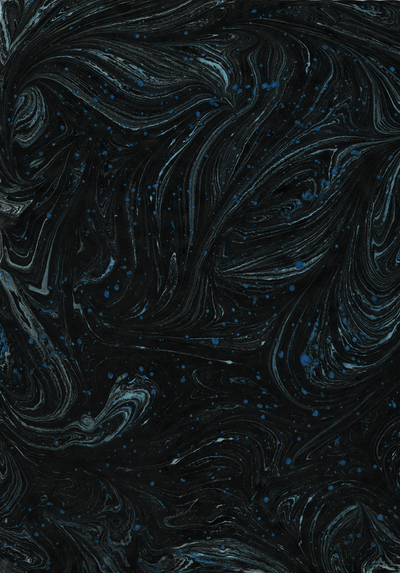 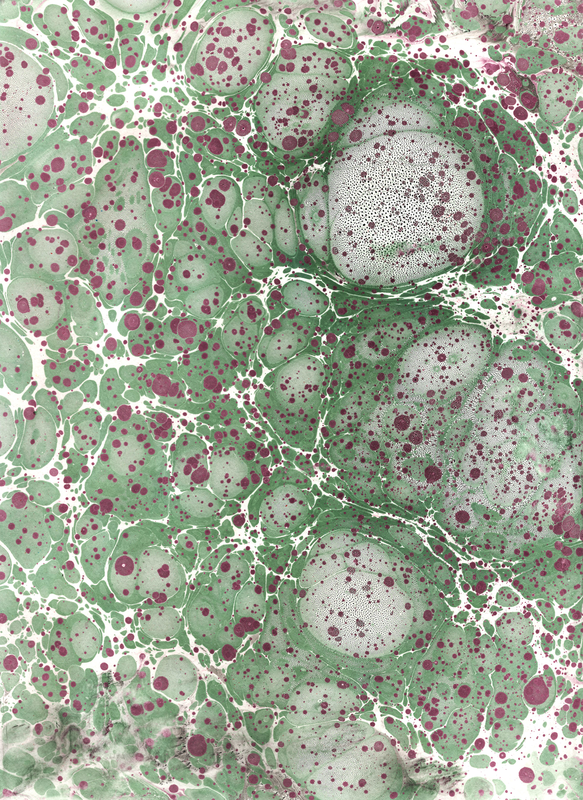 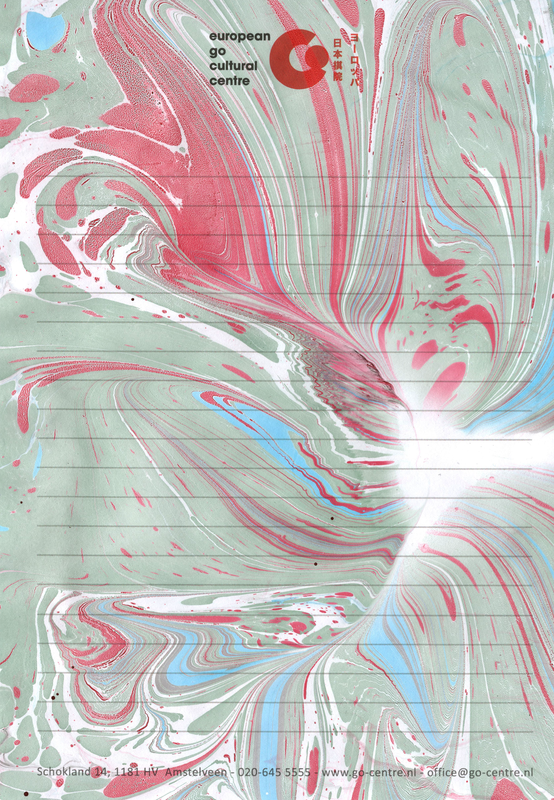 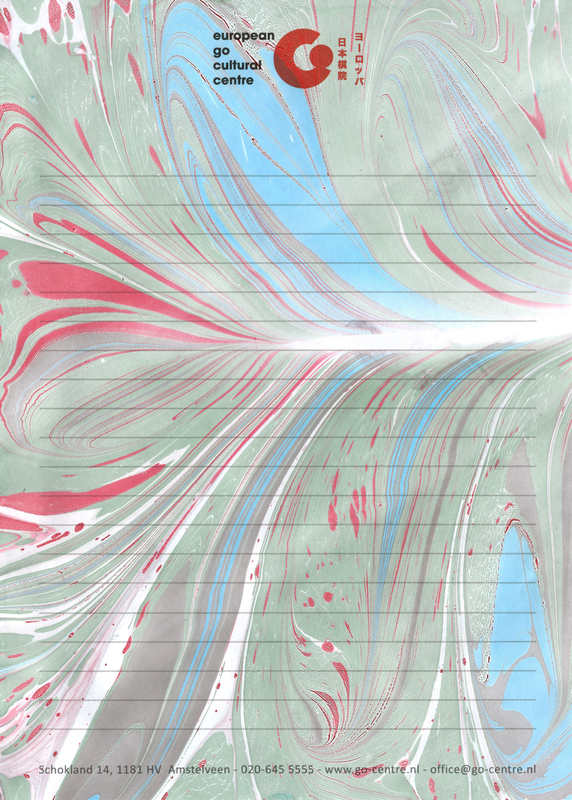 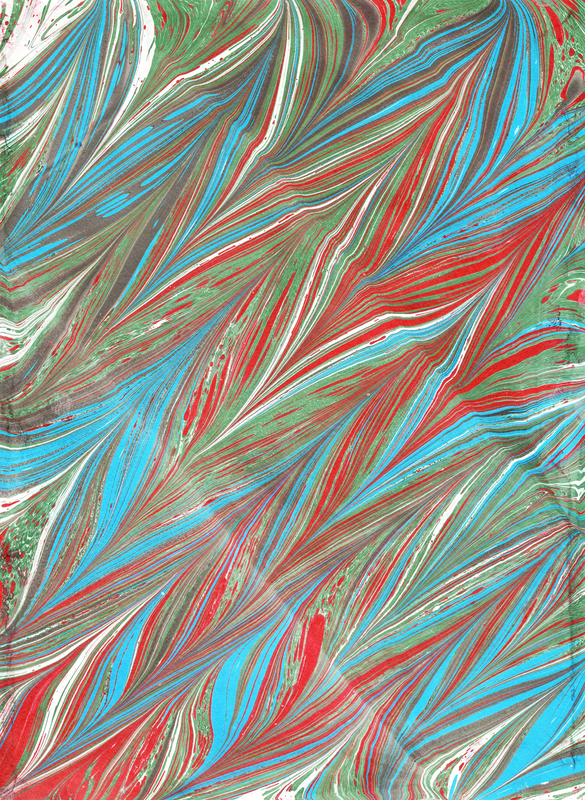 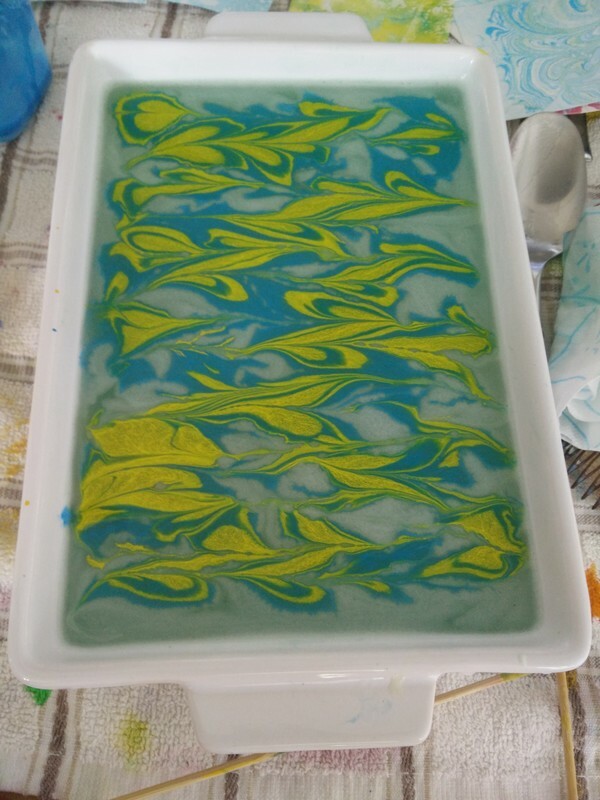 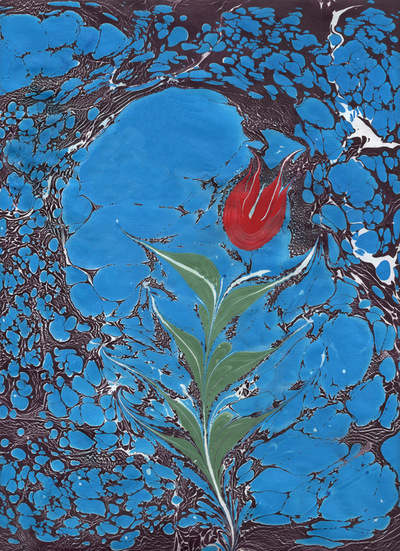 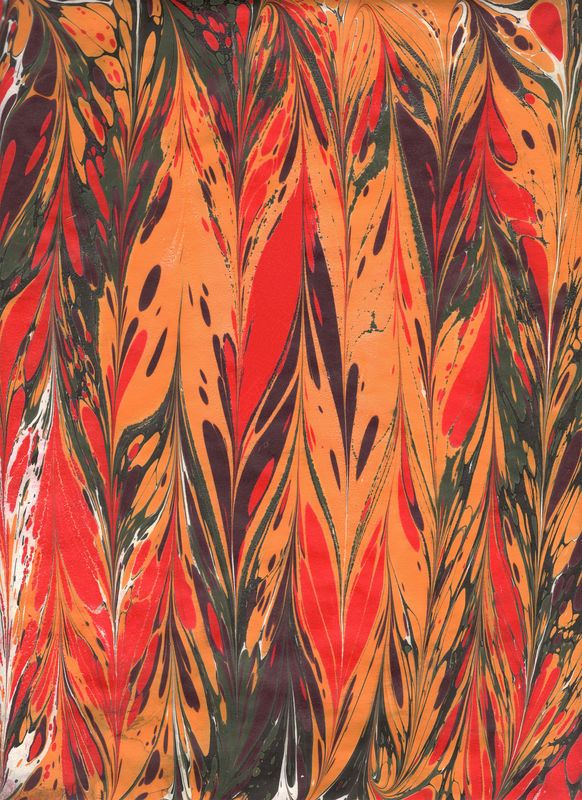 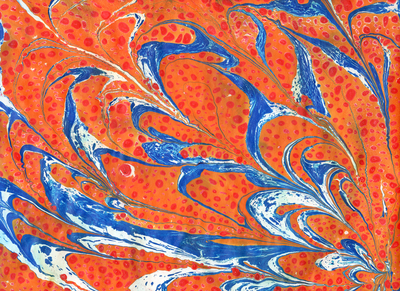 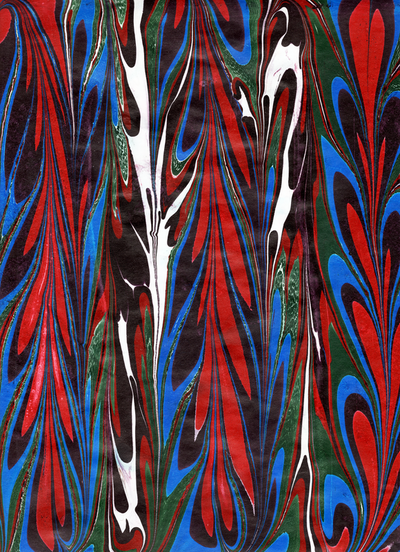 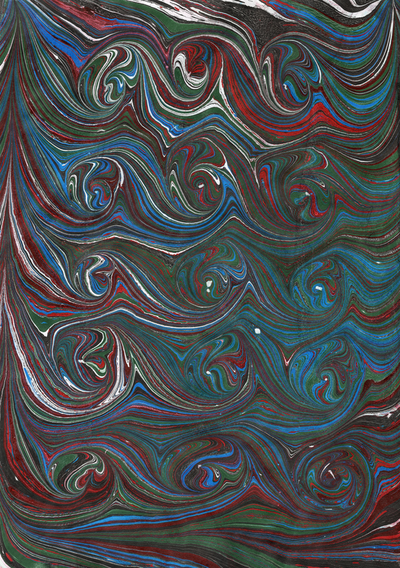 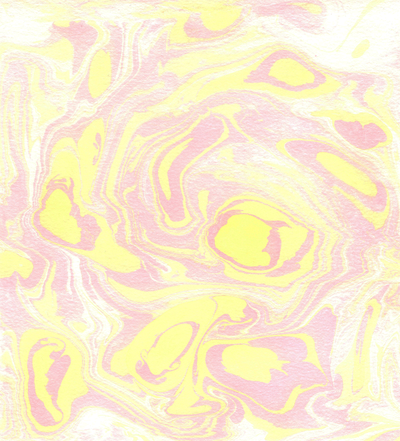 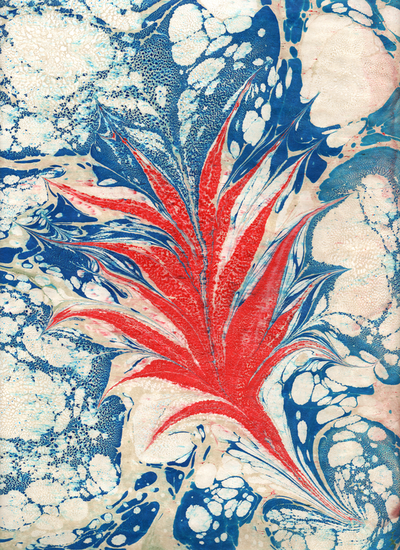 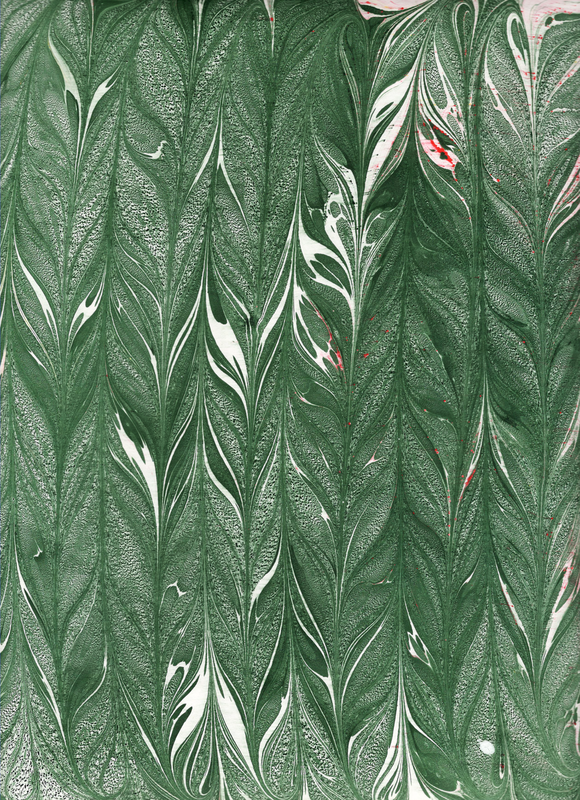 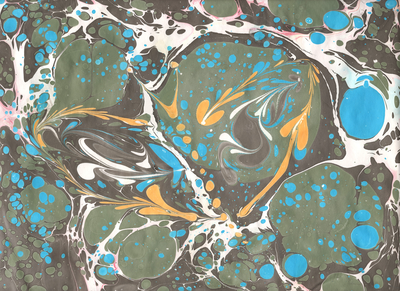 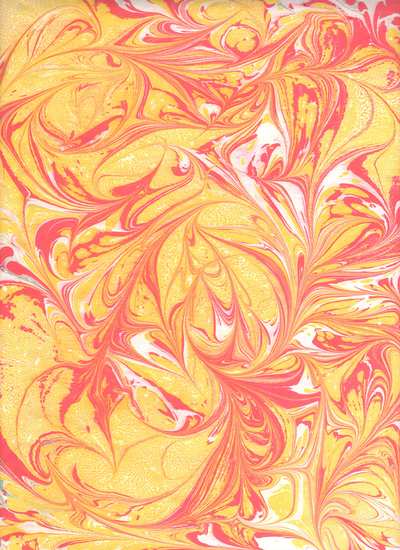 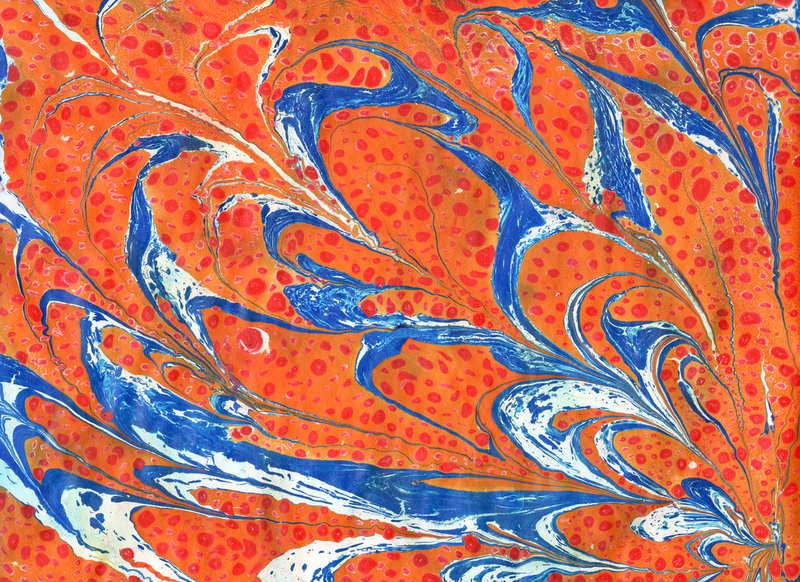 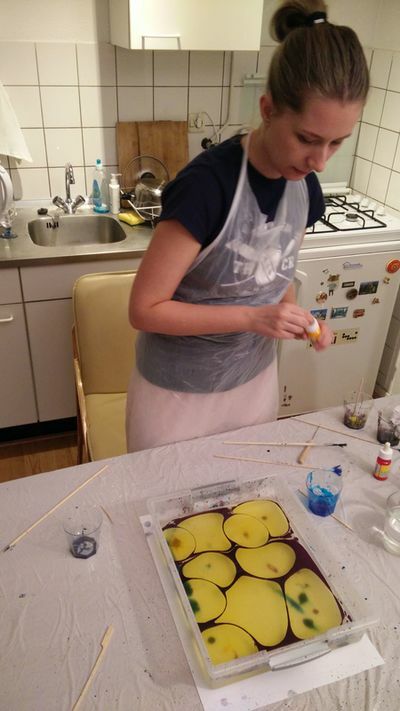 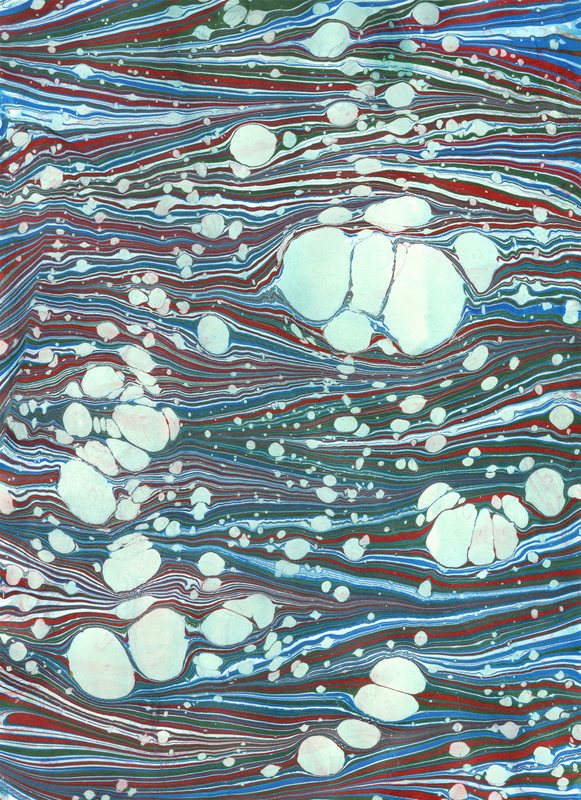 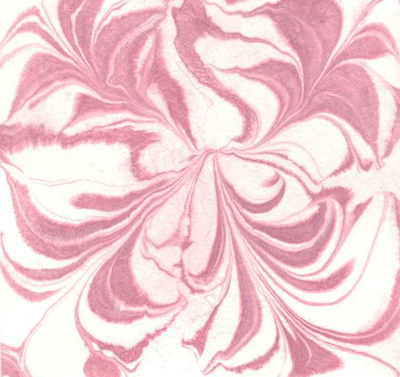 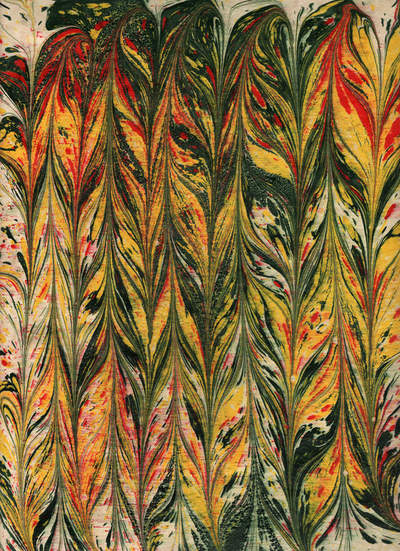 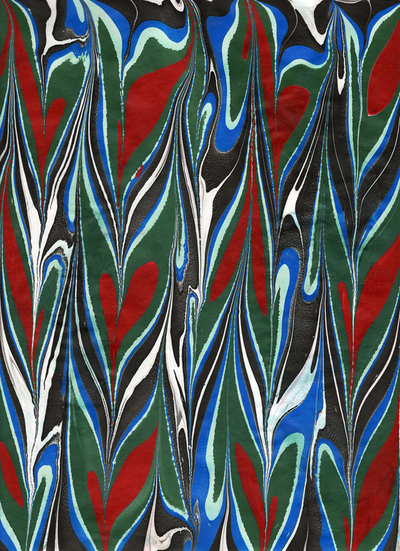 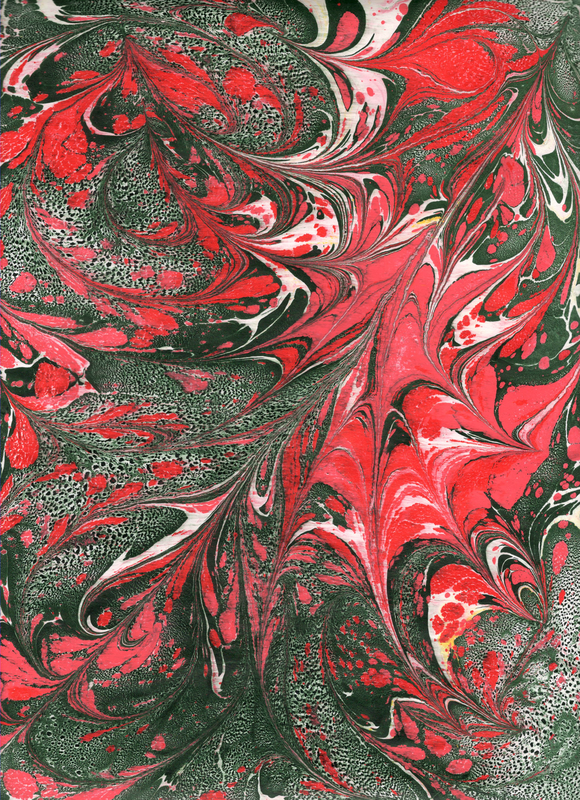 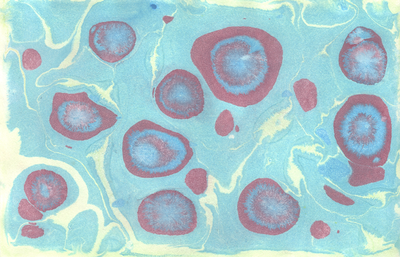 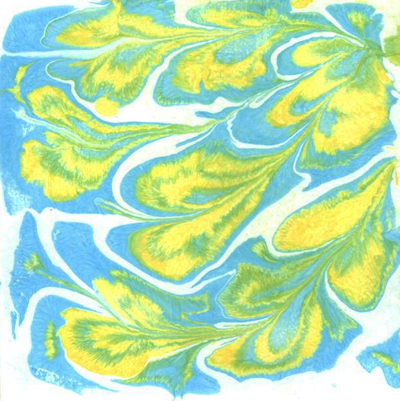 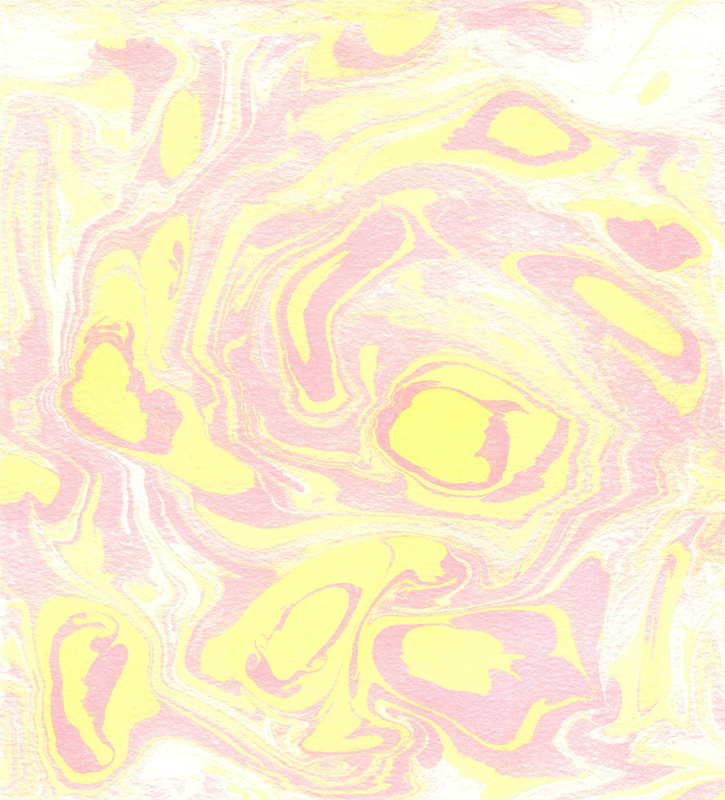 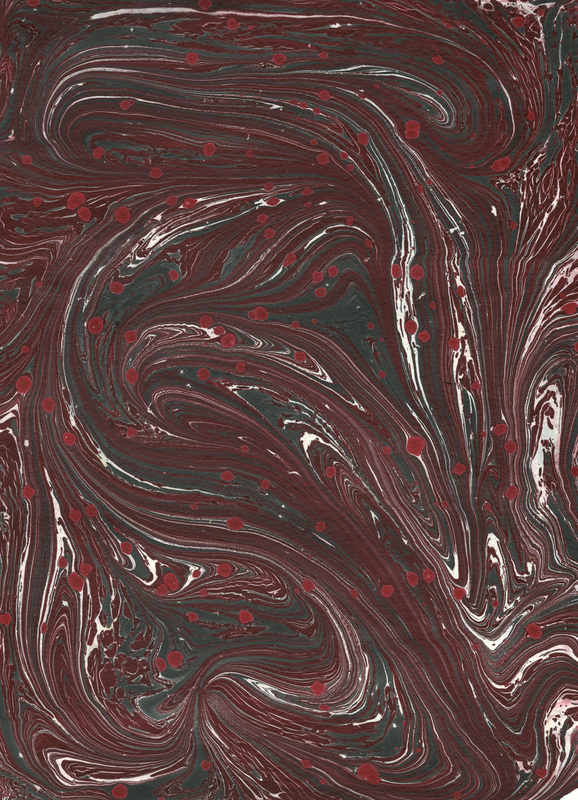 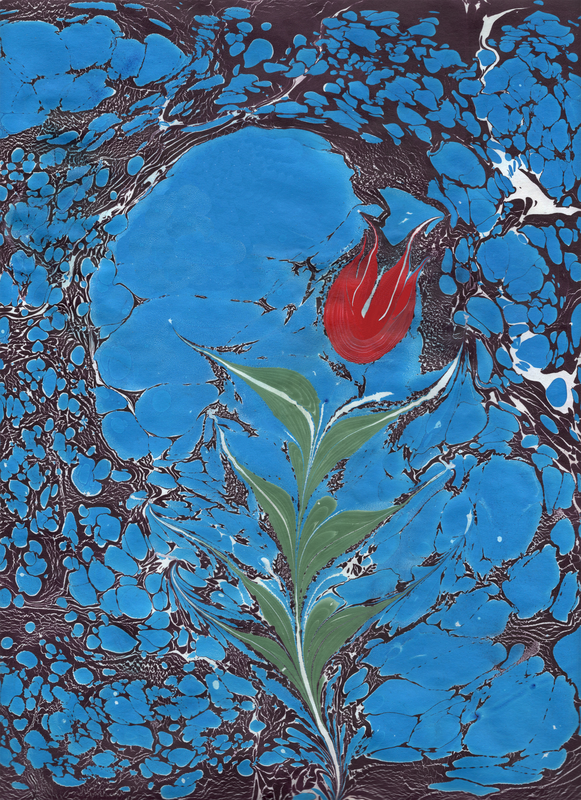 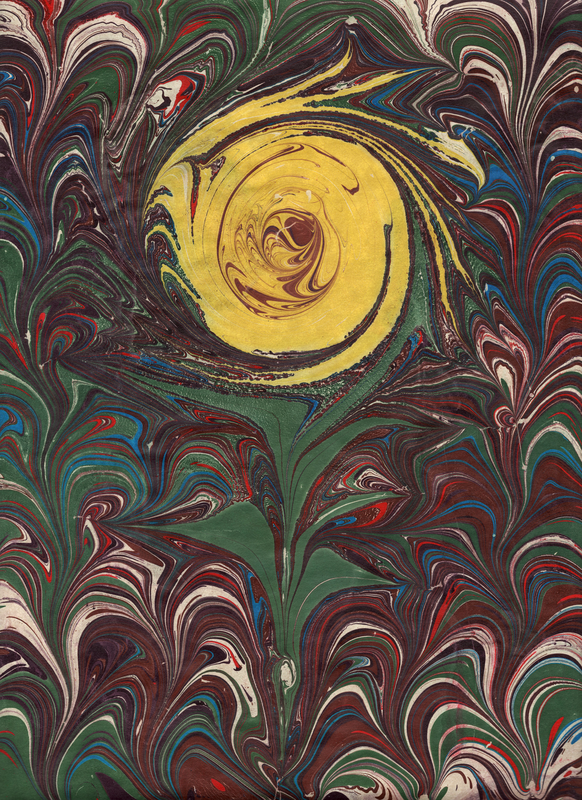 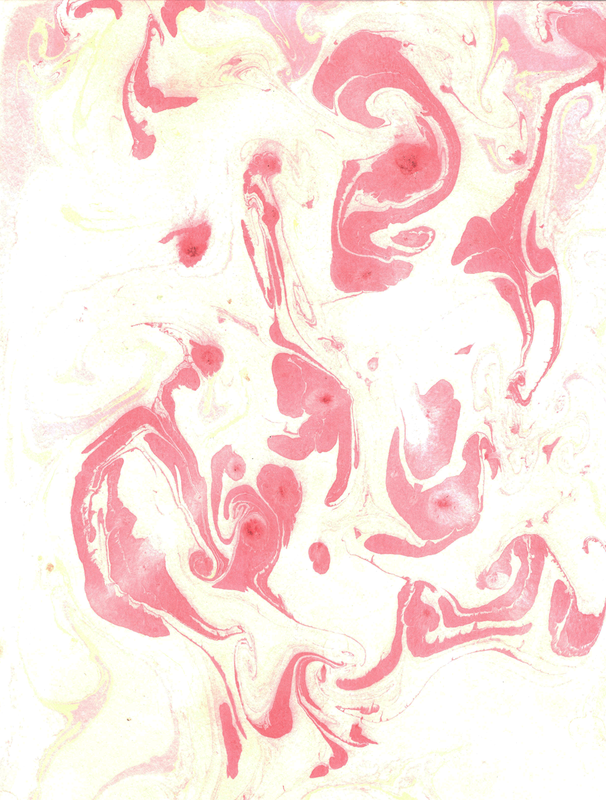 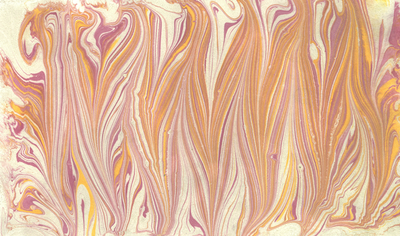 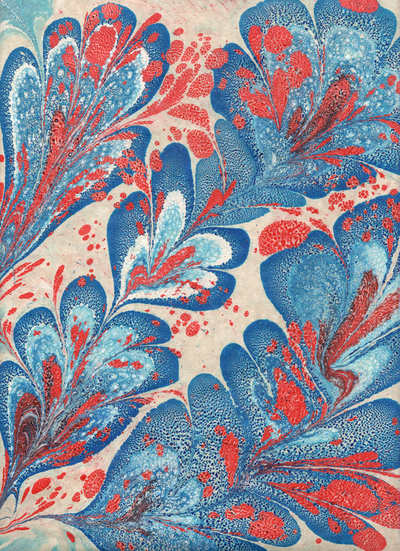 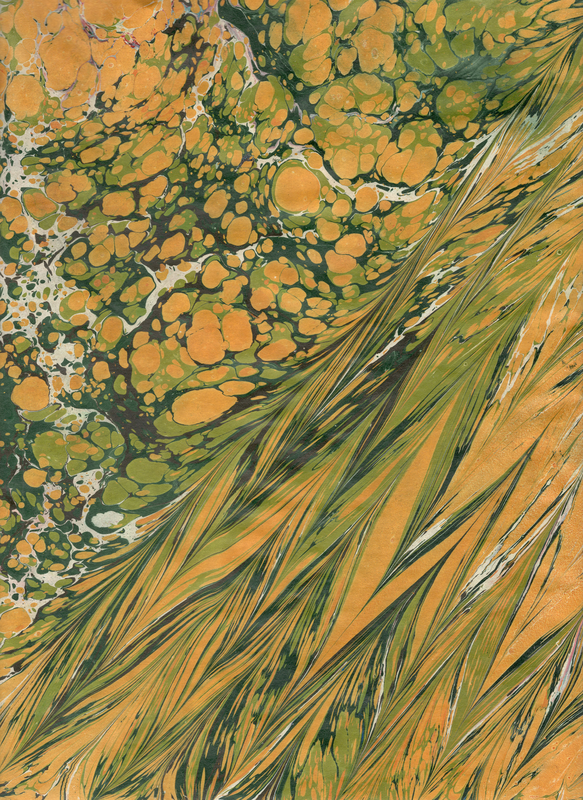 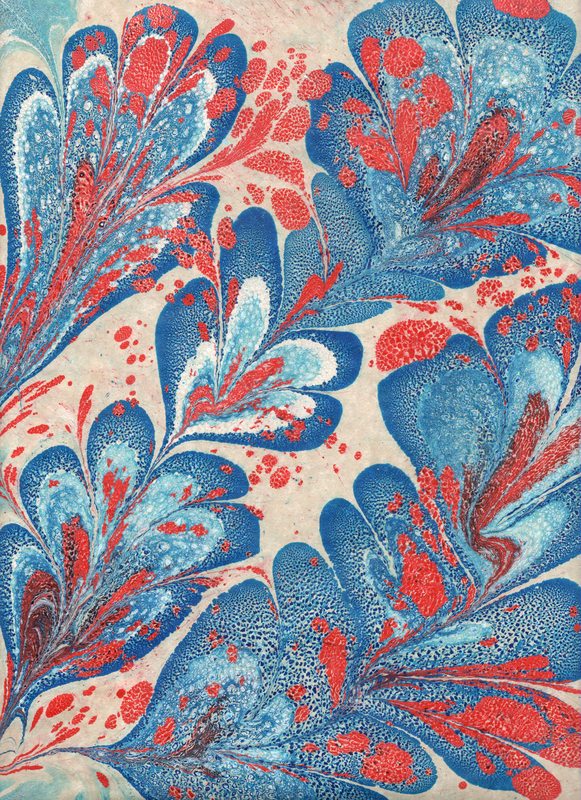 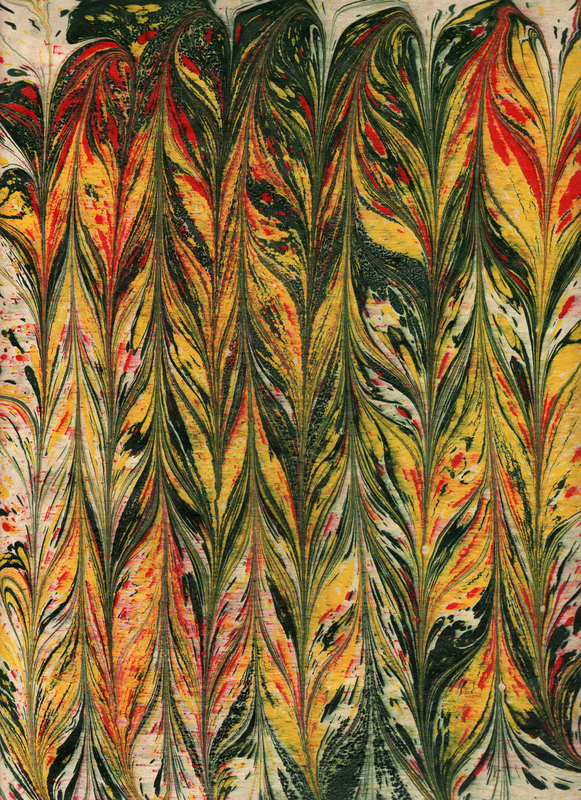 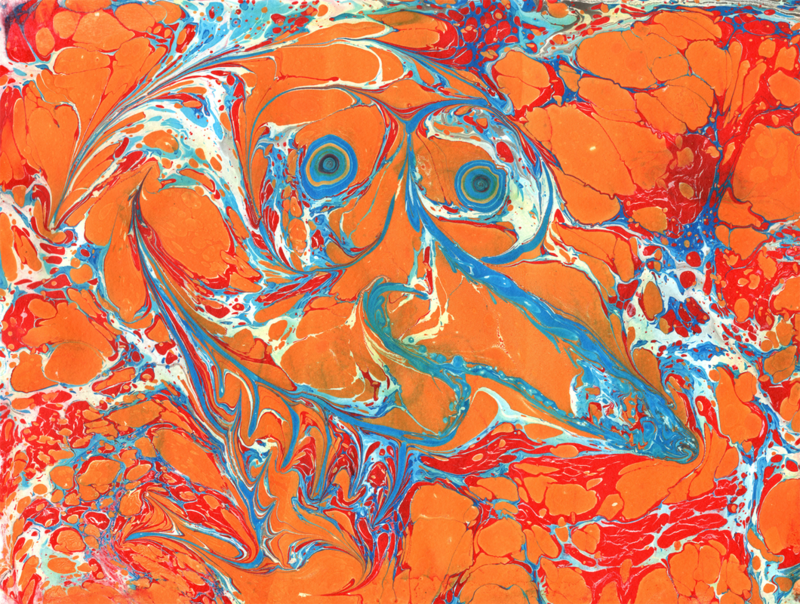 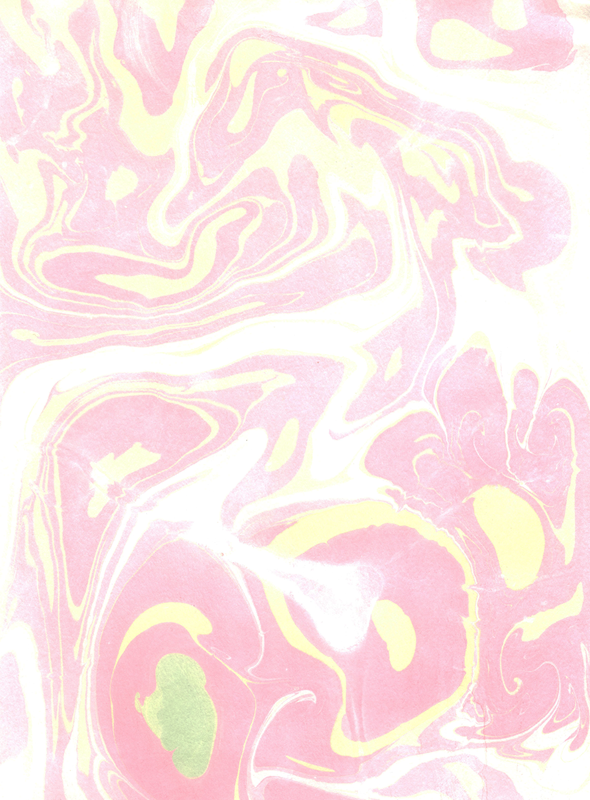 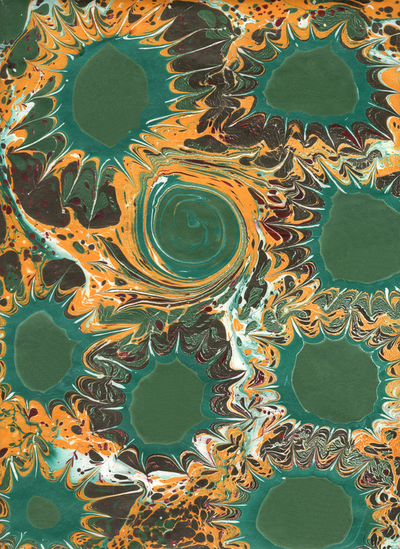 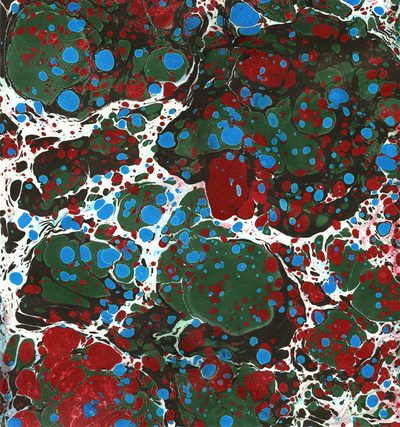 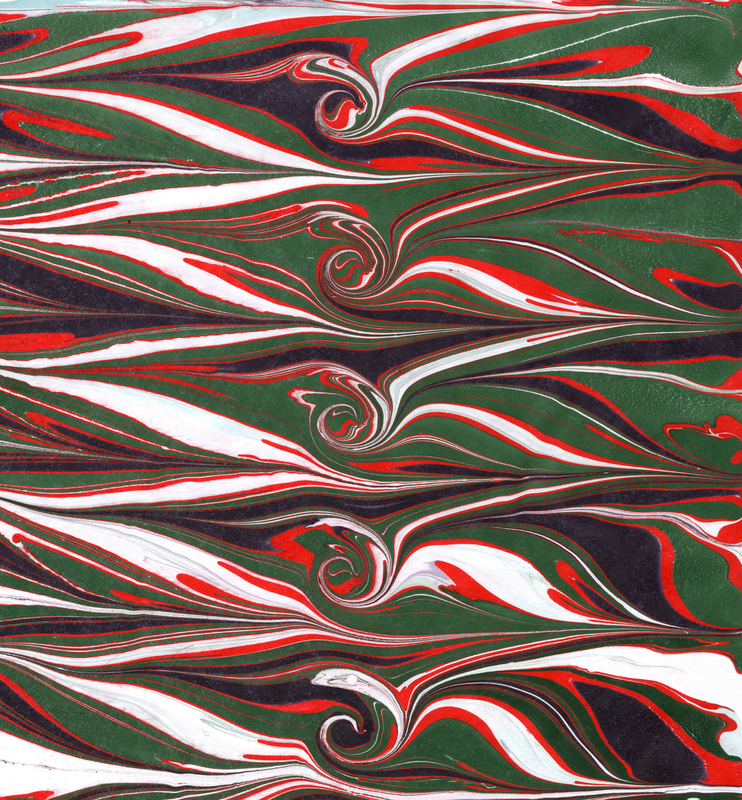 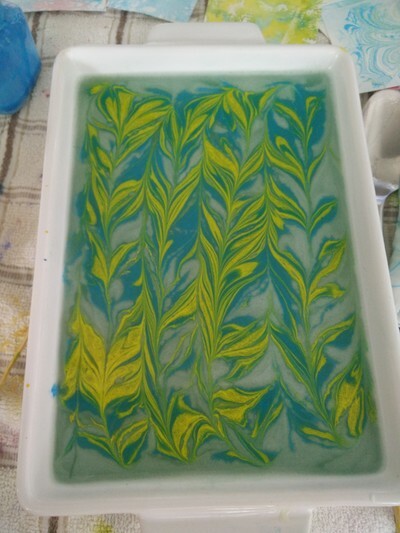 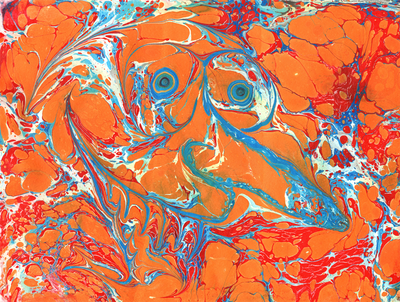 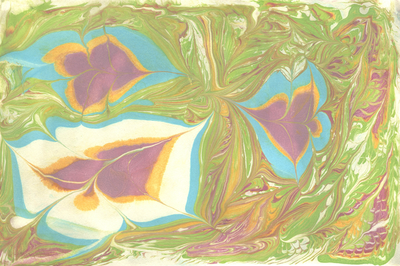 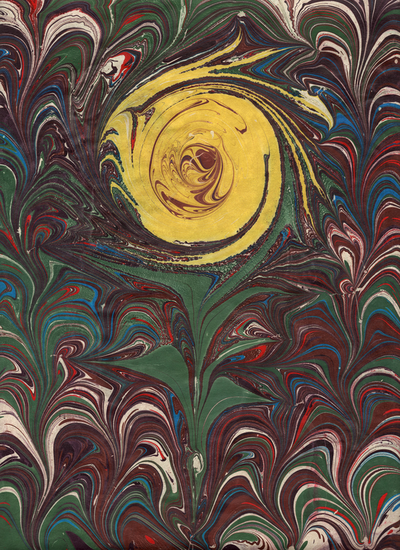 Paper marbling, also known by its Turkish name ebru or by the Japanese term suminagashi (墨流し), is a technique of ​aqueous surface design. 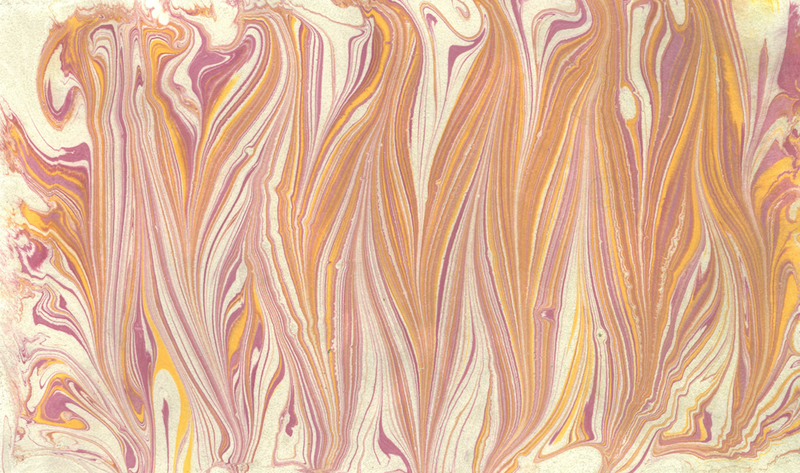 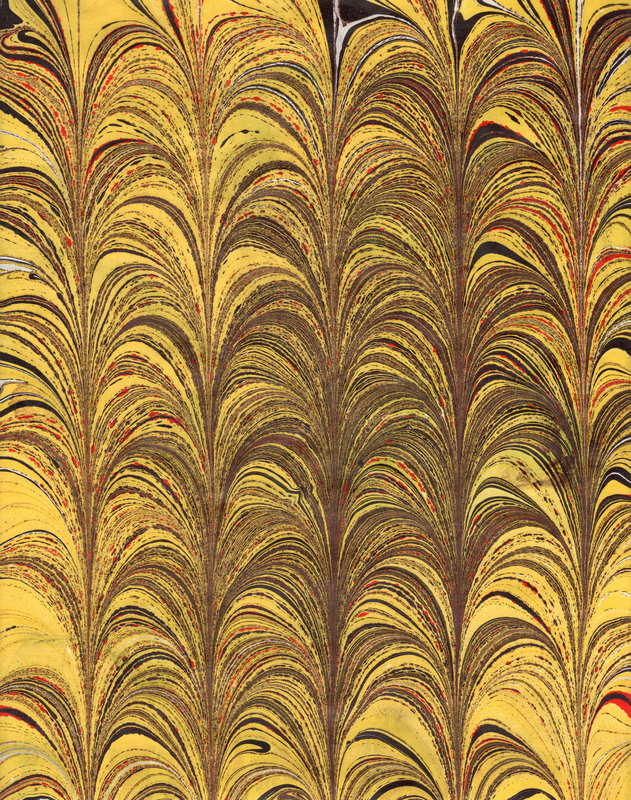 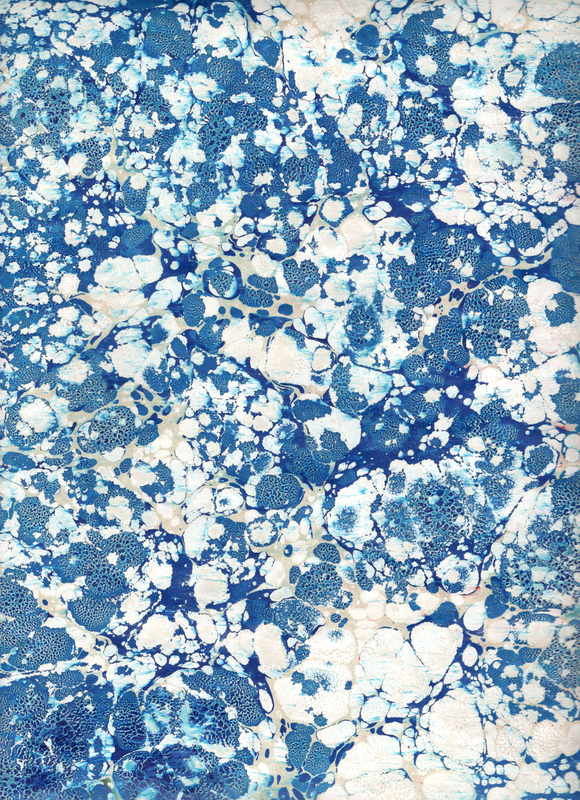 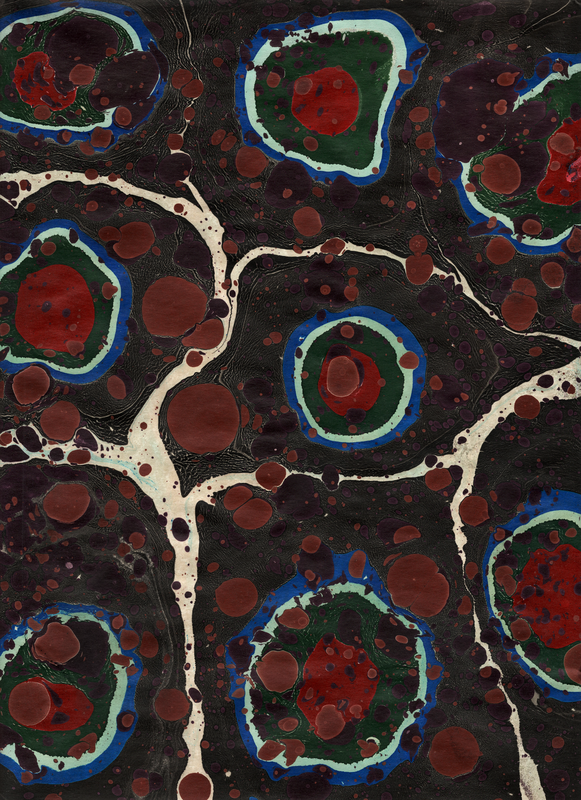 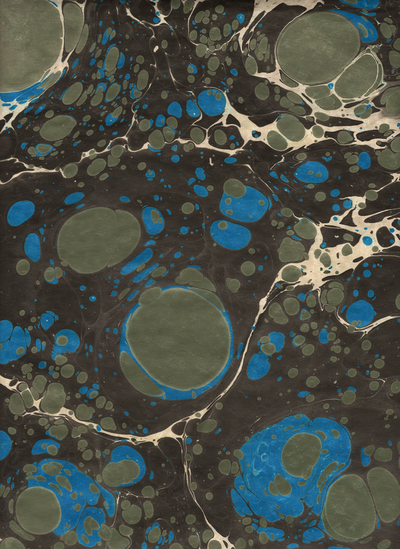 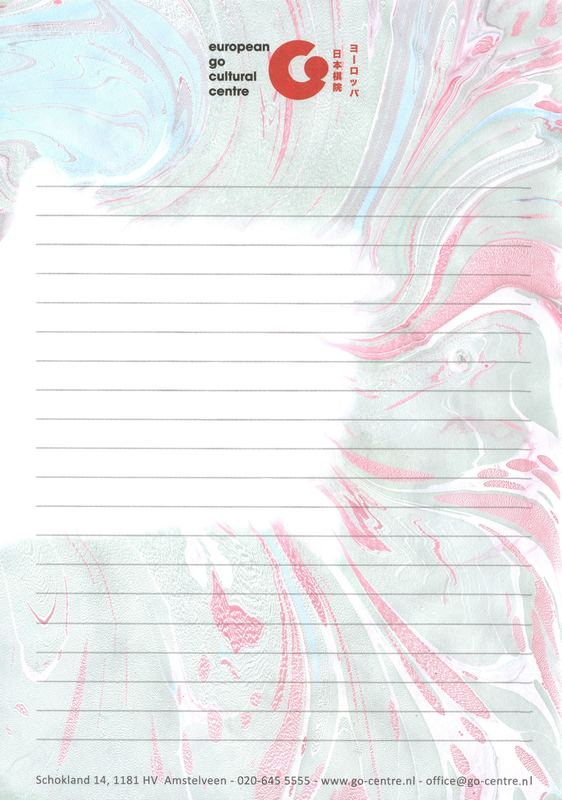 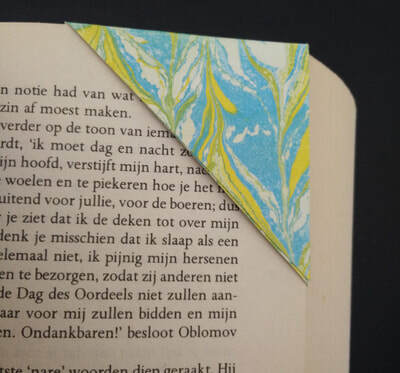 Marbled paper dates back to at least the 12th century and has traditionally been used for bookbinding and other decorative purposes. 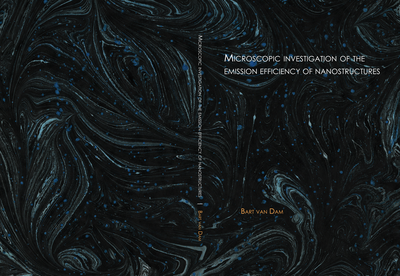 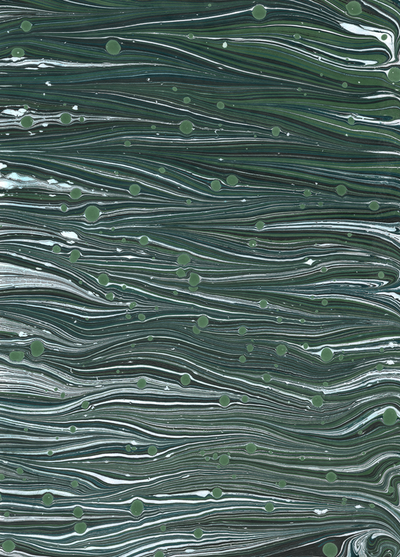 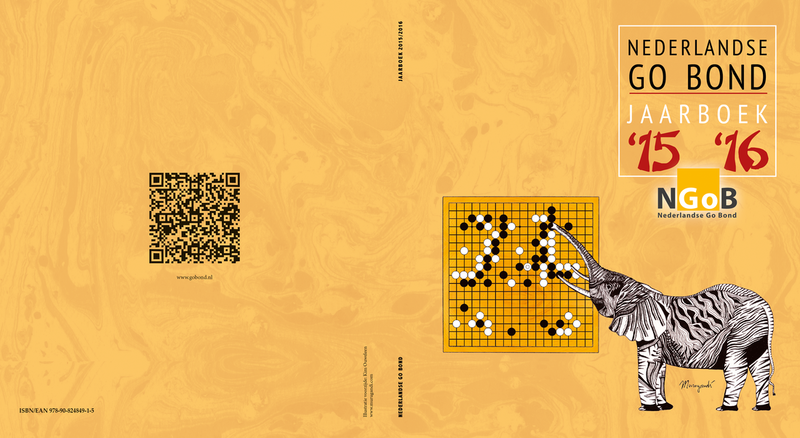 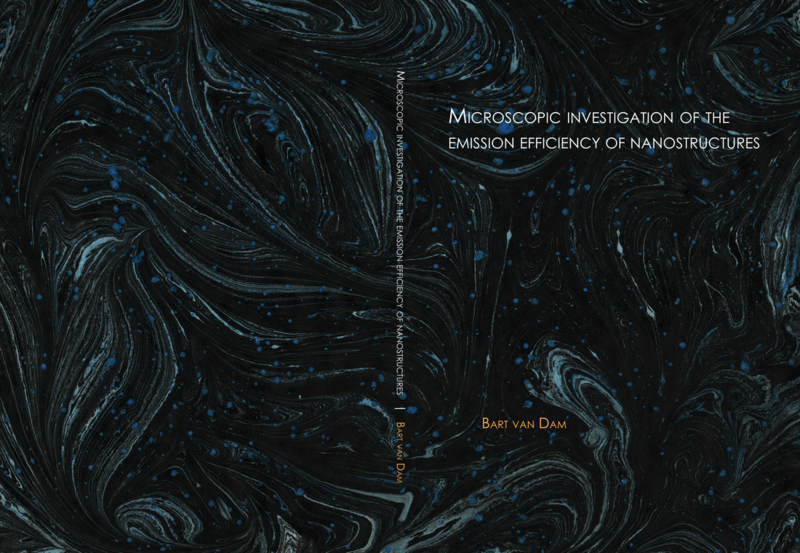 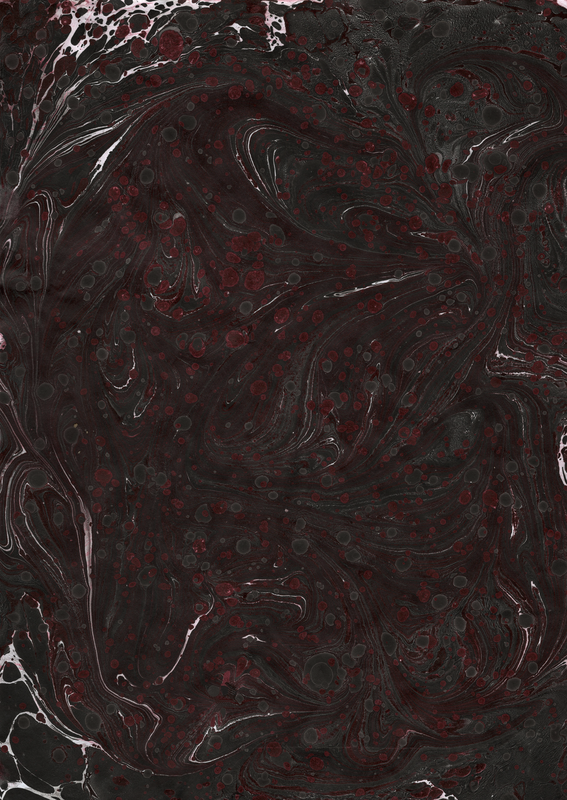 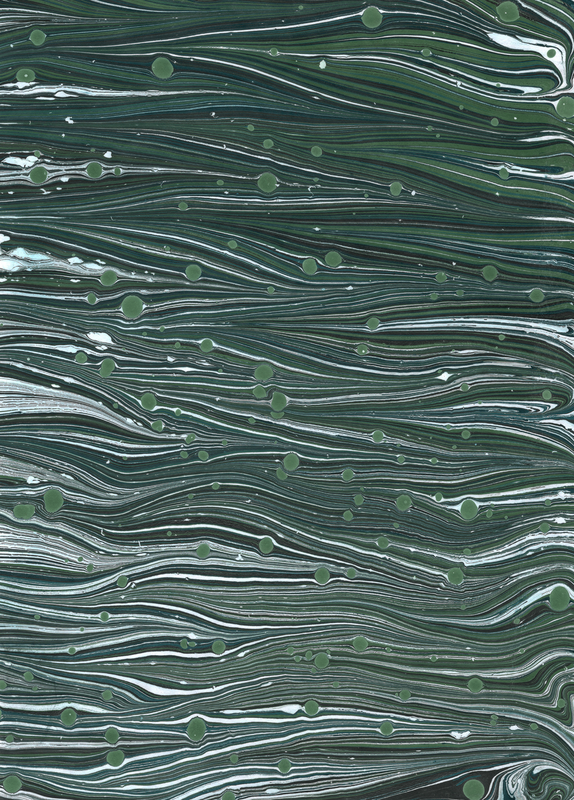 By dropping paint on the surface of water or a thickened fluid called size, and by manipulating that paint, all kinds of wonderful patterns can be created. 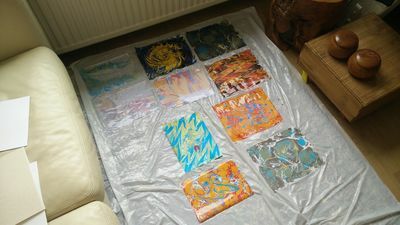 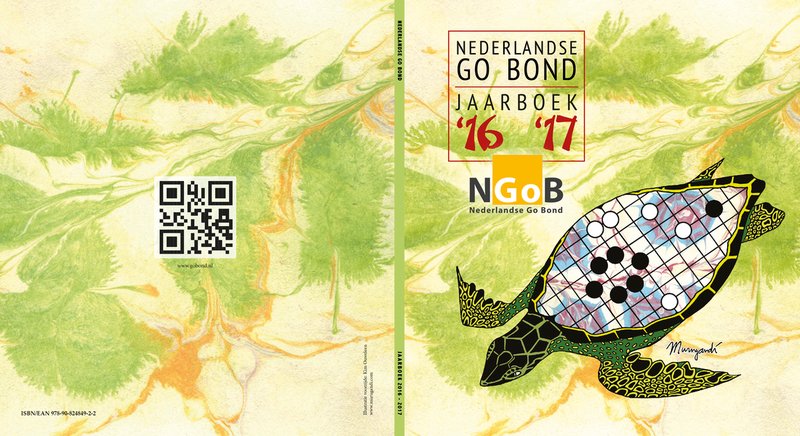 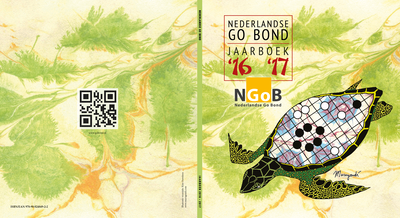 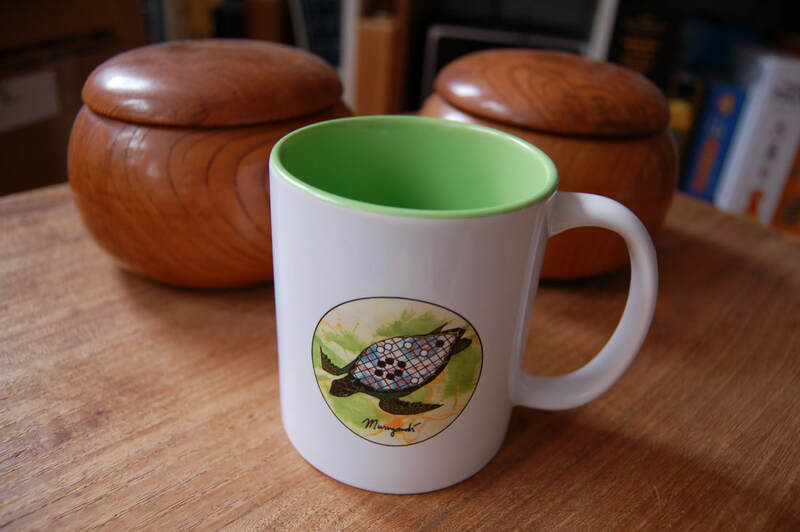 The designs are directly transferred from the size onto paper or other materials such as fabric. 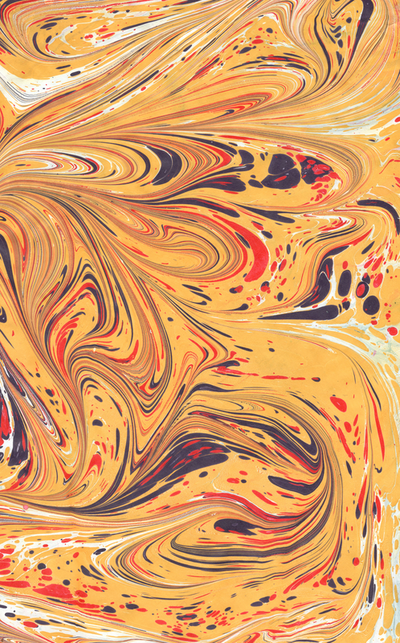 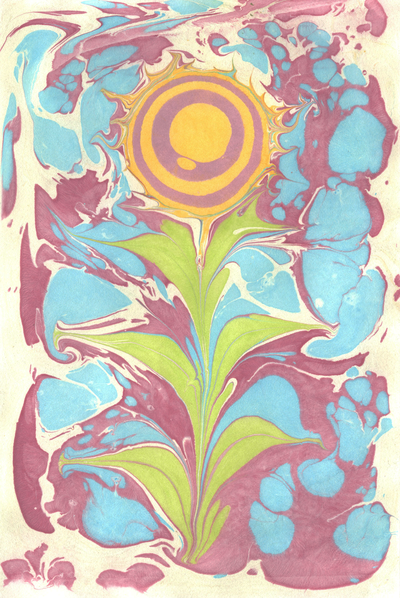 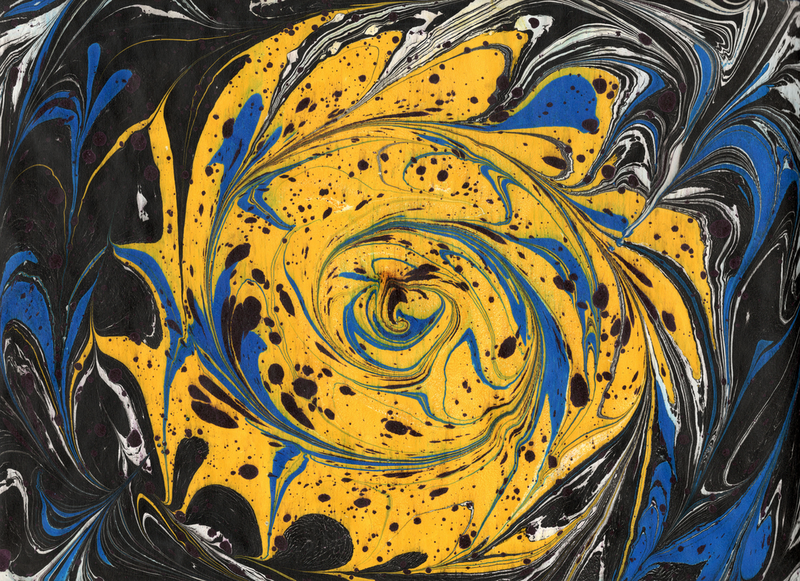 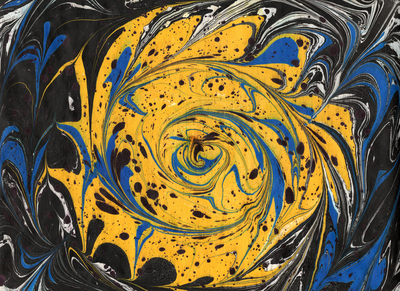 I discovered paper marbling in 2016 through a short 1970 documentary called The Art of the Marbler. 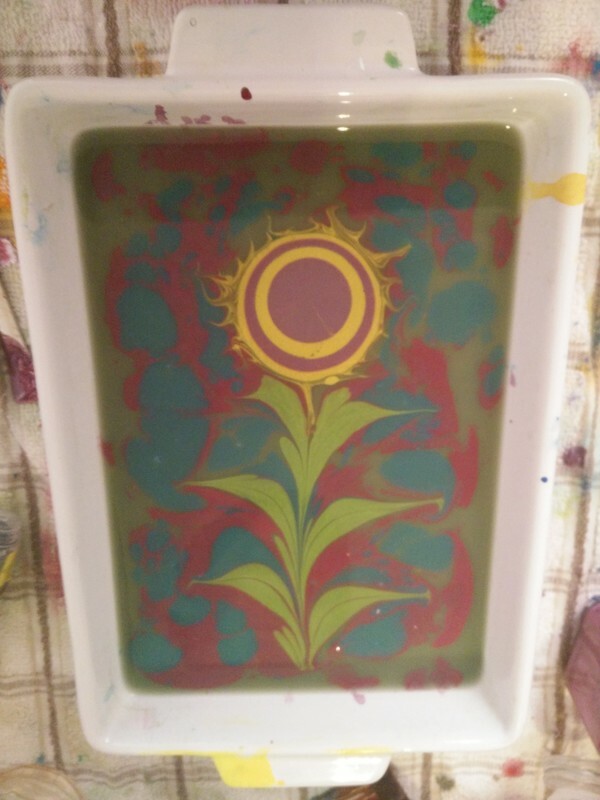 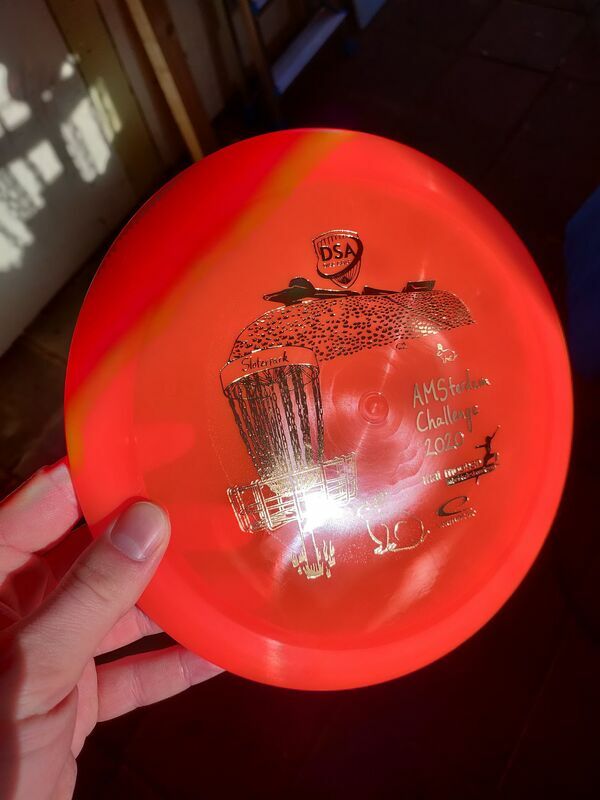 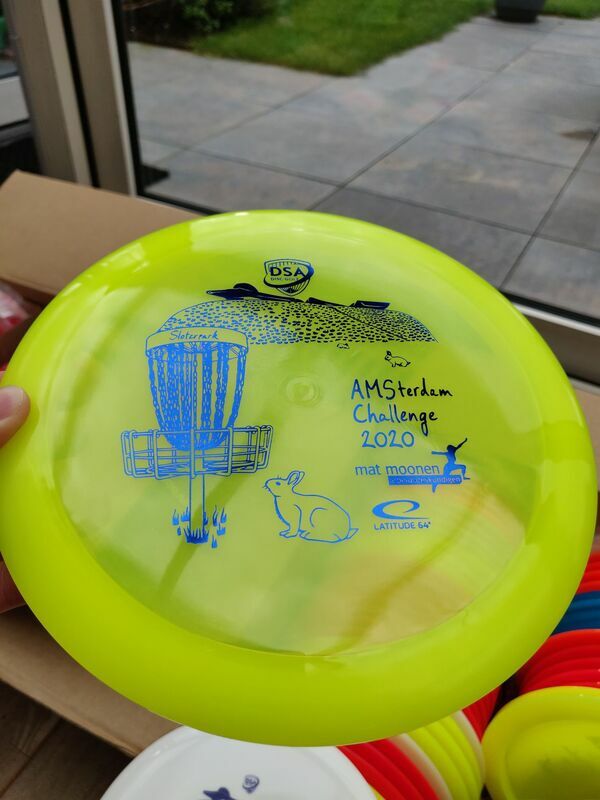 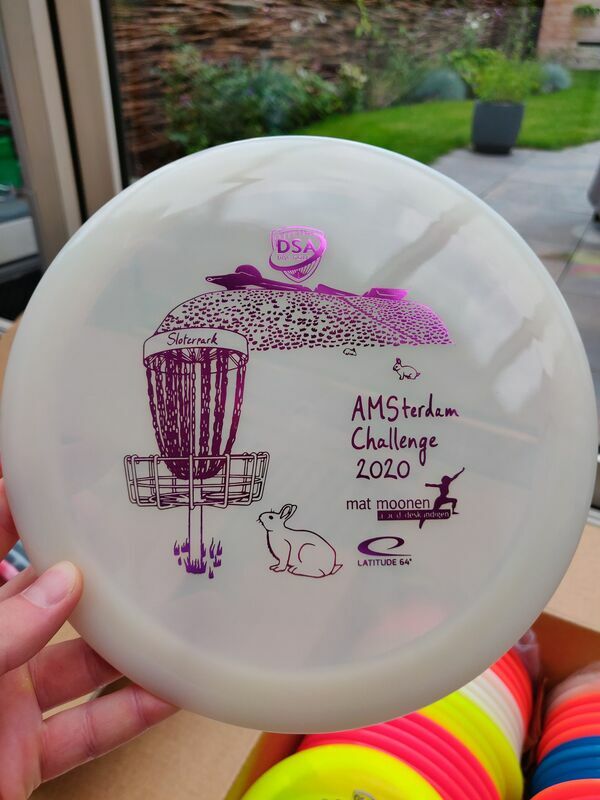 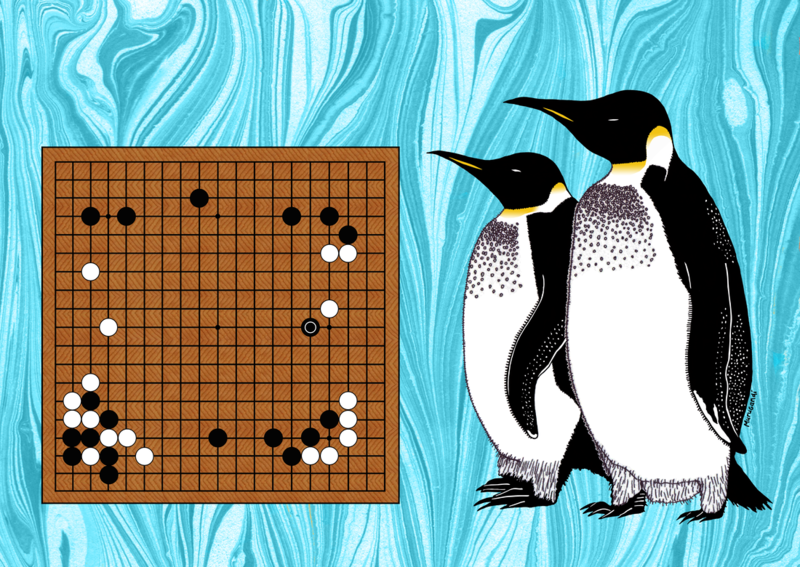 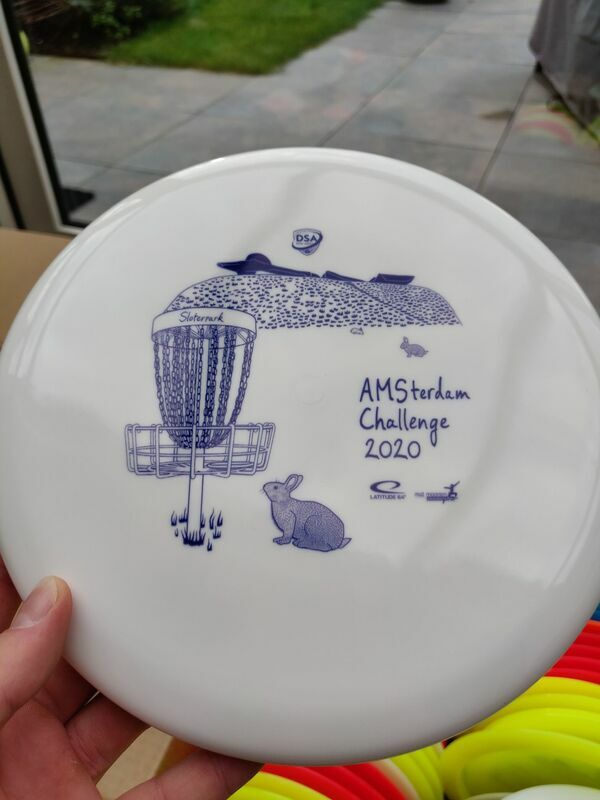 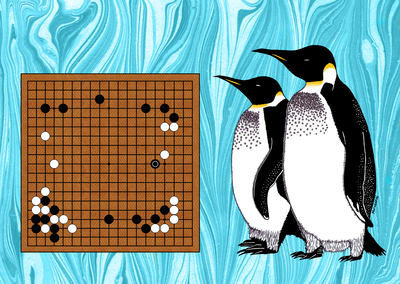 In early 2018 I rediscovered the method and started exploring it. 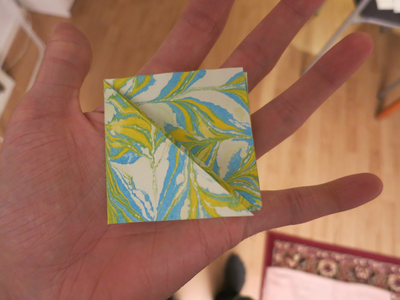 I love making these beautiful patterns and incoporating them into my designs. I also sell the originals in frames!